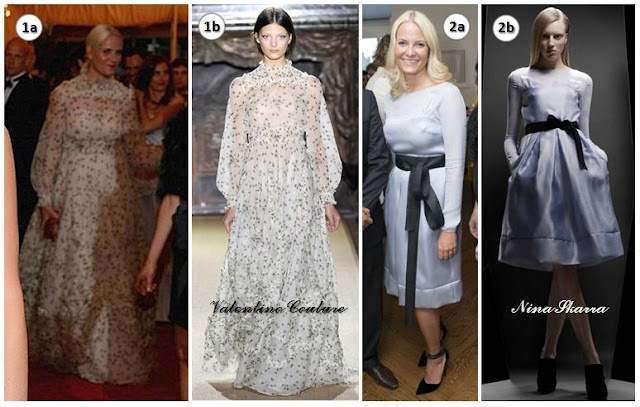 a) Attending the Met Gala, 7 May, b) in Valentino Couture. Already said my piece about that, I did. a) In New York to launch Norwegian designer Nina Skarra's line in the US, 9 May, b) wearing Nina Skarra (naturally). This is the designer behind that delightful color combination worn to one of Queen Margrethe's birthday celebrations in 2010. Thought you might want to know that she and Mette-Marit make a good team, since this might not be convincing you.